Our kids start out the day PLAYING! The centers that we plan for them are intentionally CONNECTED to learning ideas taking place over the course of the week. The play engagements give children opportunities to experience different types of play through: Technology and Communication, Art and Expression, Blocks and Building, and with Letters and Words. One of the major points of Connected Play is that it is CONNECTED to learning that is happening during the week (thematic, book/story related, etc.). With this in mind, you are selecting your activities and thinking of an image that speaks to your students. Perhaps the image will be of the materials/manipulatives they are using, one that you create, a sample, etc. Frequently used items that you see your kids using every once in awhile, can be put on a slide under your Connected Play Board. Use bullet points in the text placeholders to type your kids names in. All you have to do is rotate the groups of students over to the next activity! Rotation of students will vary on your preference. Above, the last textbox is selected and moved to side by pushing the arrow key. Holding the Shift key, other text boxes are selected and moved over. 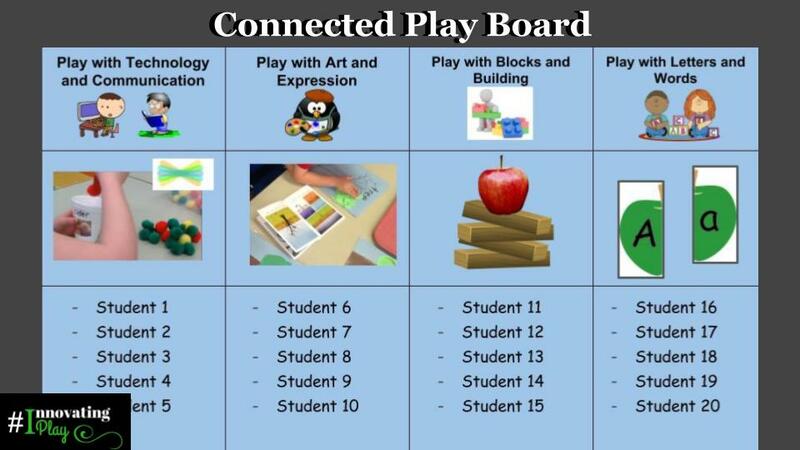 Thinking ahead to the following year and how you may want to use some of the same Connected Play activities. 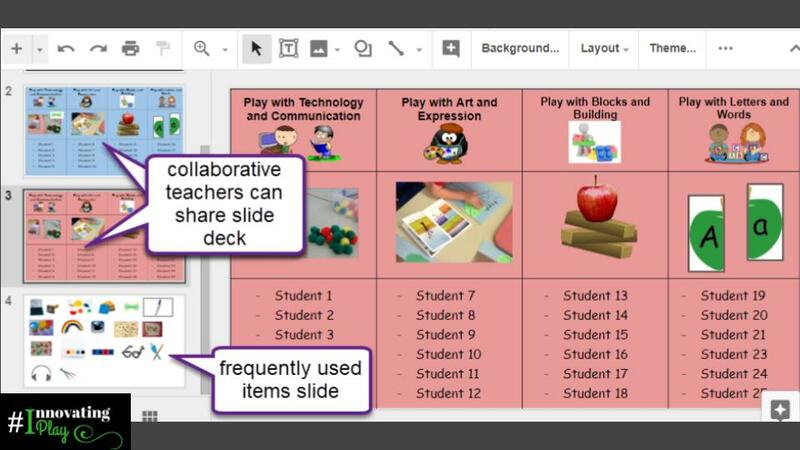 We suggest that you put your Connected Play boards under your frequently used items slide, make any notes, and then insert a new board. Use the Shift key to select both slides, and drag them under the frequently used items slide. Click on the baby arrow to insert a new Connected Play Board layout. If you want to keep the groups the same, you can choose to duplicate the boards instead, and just delete the pictures on the original board. As children prepare to engage in learning for the day, play-based experiences create a sense of safety, stimulate natural interest, and foster development of schema. The invitation to Connected Play may be an open-ended or guided experience meant to access prior knowledge and stimulate wonder. In order to ensure that all children are exposed to a variety of experiences, they participate in one invitation each morning, with the option to return to the experience at different points throughout the day. 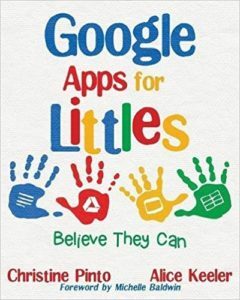 A variety of academic skills/concepts/strategies can be covered within this format allowing for engaging, meaningful, and efficient learning opportunities. How can open-ended materials support creativity in communication and reflection? How can play create a safe start to the day allowing natural experiences to connect learning? How can teachers use observation of children’s natural learning patterns to guide instruction throughout the day? How can play based experiences support connections between social/academic/emotional growth? 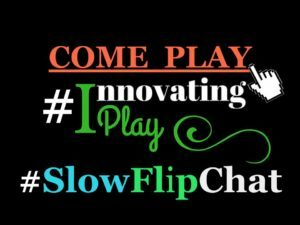 This entry was posted in Everyday Play, Innovating Play, Template by Christine Pinto. Bookmark the permalink.